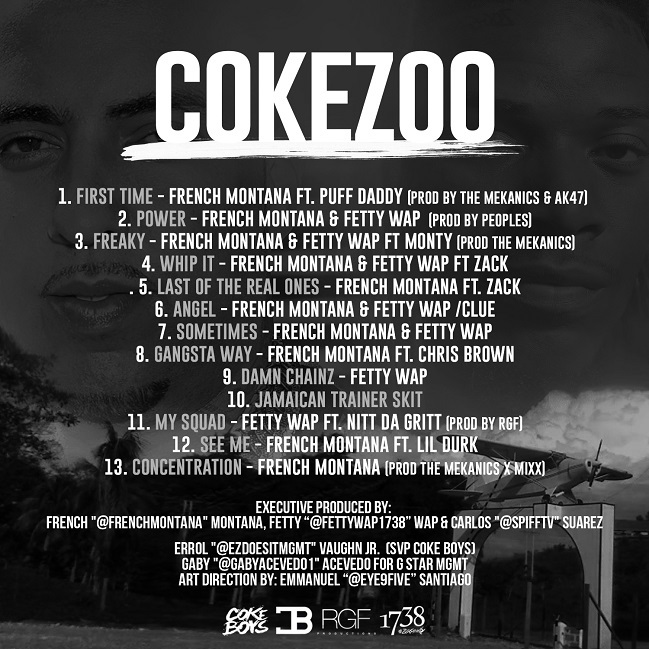 Later today, French Montana and Fetty Wap will collaborate for their Coke Zoo project. This tape will hold 13 tracks with notable production from features from Chris Brown, The Mekanics, RGF, Monty, and more. New music has surfaced as well with 'First Time' with Puff Daddy. Stream this track above and peep the tracklist for Coke Zoo below.